^ Josephine Baker (Freda McDonald) Native of St. Louis, Missouri. [2009-03-06]. 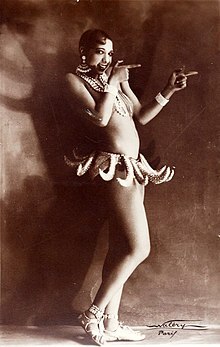 ^ V & A - About Art Deco - Josephine Baker. Victoria and Albert Museum. [2009-03-06]. ^ Ann Shaffer. Review of Josephine Baker: A Centenary Tribute. blackgrooves. 4 October 2006 [8 January 2009].